There is a digital transformation underway powered, in part, by the adoption of mobile. In this shifting landscape of increasingly fickle and distracted consumers, maintaining competitive advantage is more important than ever. Competitive positioning is a relative art, defined differently for every business. But what's absolute is the science of digital customer experience and human behavior. The reality is that faster pages drive higher engagement, but getting there takes comparative vigilance and constant feedback to development and digital teams. 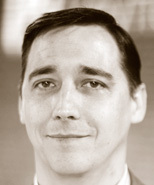 Aaron Rudger is a veteran in the Web Performance space with over 15 years of industry experience. As Senior Product Marketing Manager, Aaron leads the product vision, strategy and evangelization for Keynote's industry leading web and mobile monitoring solutions. 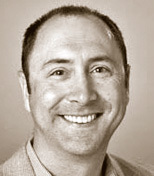 Prior to Keynote Systems, Aaron held key marketing positions at Right90, BMC Software, Remedy Corporation and iPrint.com. His cross industry expertise in CRM, IT Management and eCommerce can be found in industry publications and technology blogs such as NBC News and Website Magazine. Aaron is also a frequent speaker at industry events like Velocity Conference. Stephen Feloney has more than 20 years of experience in mobile and desktop application development, testing, monitoring and analytics. As Director of Products, he is charged with leading the product planning and product management activities for Keynote's first analytics product, Digital Performance Intelligence platform. Previously, he was Director of Products at Appcelerator, where he focused on mobile development projects for enterprises. He was also Director of Products at HP Software, where he oversaw HP Performance Center, the market leading product suite in performance testing. He also held roles at Mercury Interactive and several start-ups. Stephen earned a BS in Computer Engineering from Santa Clara University.